I spend a lot of time traveling around Boston using the underground system which is locally referred to as ‘The T’. Even though I’d traveled around for years on the T it was only since my obsession with grungy iPhone photos kicked in that it occurred to me that there were some potential images to be made while waiting for the train. Initially I considered these to be sketches of what I might be able to do with my ‘real’ camera. Even so I quite like what I’ve been able to do so far and will continue to push the idea forward. 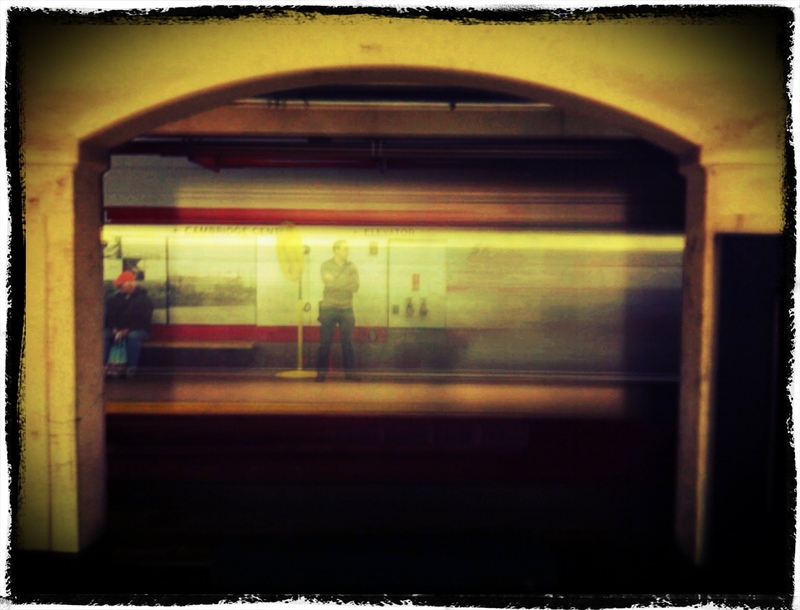 This entry was posted in Photo of the Week and tagged Book Review, Boston, Close to Home, iPhone, Lomography, Motion, New England by nixonphoto. Bookmark the permalink. I like the feeling of “ghostliness” you have given photo, Andy. Thanks Leslie. I’ve been surprised with the results of my photos of the trains and have yet to master what my photo is going to turn out like. Sometimes the train hardly shows up as was the case here.